"The most profound event in human history is about to take place... It is going to be the greatest show on Earth and it will go on for at least two to three years. So you need to get ready for this." Separated At Birth – Balloon Boy, V and Mr. Spock! – Is this all a case for ET disclosure? Richard Hoagland's "NASA's Smoking Gun: Part II – LCROSS' (and LRO's) Secret NASA Mission to the Moon ...."
"Is Obama Nobel Peace Prize prelude to extraterrestrial disclosure?" 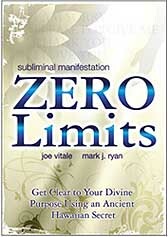 Read our complete review of the new DVD, "Subliminal Manifestation: Zero Limits"
Read our review of the "Zero Limits II Seminar – Live from Maui"
Purchase the "Zero Limits II Seminar – Live from Maui"
Listen to the recording of this call. Aloha, everyone. Welcome to the Miracles and Inspiration Conference Call for Tuesday, November 24, 2009. My name is Scott Mowry and with me tonight is our co-host, Dan Rezac. Dan, say hello to everyone listening out there tonight. Our topic on this night will be the impending UFO disclosure that could possibly happen by the end of the year, or in early 2010. For more on this topic, we recommend you take a look, if you have not done so already, at our recent News article, "Humanity Poised for Imminent Evolutionary Breakthroughs." "Separated at Birth: Balloon Boy, 'V' and Mr. Spock - Is this all a case for ET disclosure?" 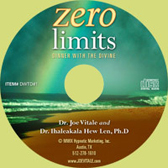 During out second hour, we will also be previewing a brand new Zero Limits seminar DVD set entitled, "Zero Limits III - The Final Chapter." We will be playing a few choice clips from Dr. Ihaleakala Hew Len from this six DVD set for your enjoyment. We want to remind everyone that if you would like to be informed of our calls you can do so by getting on our mailing list. And it is free to do so by sending an email to info@miraclesandinspiration.com and put "subscribe" or "subscription" in the subject line. We also want to take this opportunity to wish you and your loved ones a Happy Thanksgiving holiday and we hope you have one filled with love and happy times. So to get us started off tonight, Dan will be giving us an opening invocation. Dan? How tenderly you hold your heart, the innocence and love within, all gently wrapped in tissue paper and tied with a blue ribbon. How cold the world can seem when you go out into it, as you try to protect your heart against the winds and the storms. And how tempting it is to steel your heart against them, to try to strengthen your heart by making it colder and harder. Sometimes it feels that you must do this to ease the ache for warmth and sharing, for tenderness spoken and gentleness returned. But the heart does not grow strong through hardening, and brittleness does not serve. The heart grows strong through openness and flowing, through warmth and caring, even if that caring is given only by you to yourself. The heart is a resilient muscle that will heal itself if only it is allowed to have love flow through it. It does not heal through protection and stagnation, but by opening wide to the flow of human communication and connection. Open wide, little heart. Trust this truth, that by reaching out in oneness and love, you will grow stronger. Trust this truth that love must flow and that this flow begins by giving, over and over, by opening your heart and allowing yourself to love and then to love more and then even more. Remember always that loving someone is a great gift to yourself, not only to them. And that even love, not openly expressed, when allowed to flow, can heal. And remember, too, to make sure that one of the recipients of all of your love is you. For when you love yourself deeply, truly and warmly, when you speak kindly to yourself and lavish yourself with praise, when you gently nurture every gift that is yours and accept yourself lovingly just as you are, then you have it all. You are the giver and the receiver. You are the open flowing heart. And within this flow, you and your tender heart will grow stronger and stronger with each passing moment. And someday, you will allow yourself to shine out with all that you are and your heart will smile and gladly accept the love that flows from others in return. Owau no ka "Ho", a me ka "Ha"
So I have a question for all of you who are listening out there tonight. Have you noticed that there has been a real acceleration of energy, of momentum that began sometime over this summer? Have any of you noticed a change in the air? If you have, then there is a simple explanation for all of this and it can be summed up in one word, and that word is –– consciousness. Consciousness is expanding so rapidly and so compressively that all the secrets that have long been hidden can no longer stay hidden. This is why we are seeing so much new and exciting information coming out in the woodwork. Because consciousness is expanding and we are now ready, as a species, to hear and learn about these types of things. In other words, Divinity has a grand plan for us all and it is unfolding more and more rapidly with each passing week. As you may have been hearing in a number of places, the hot topic over the last few weeks has been –– extra-terrestrial disclosure that may be imminent. In fact, it is so hot right now that it is dominating the rumors that are flying around the internet and alternative media. I am going to play an audio clip from a man named, Stephen Bassett, who heads up something called the Paradigm Research Group or PRG, for short. The Paradigm Research Group is an activist network that is pushing for extra-terrestrial disclosure through lobbying Congress and putting pressure upon the Office of President. 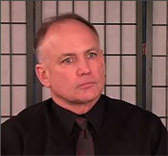 Stephen Bassett spent the last few months touring around Europe and speaking at conferences, expos as well as making many European radio and television appearances. On October 10, 2009 he appeared in Brussels in a conference sponsored by Project Camelot and he gave a wonderful presentation which I am going to play a couple of clips from. I cannot even begin to tell you how exciting I found the information he presented to be. Discussion of the Balloon boy indictment as a test run for the official disclosure, or perhaps as an experiment to see how the public would react to an alien invasion scenario. Which dovetails into the new ABC show, "V" about a group of reptilian aliens, disguised as benevolent humans, who have come to take over Earth and its people. Discussion of the ABC show "V"
See our Blog post, Separated At Birth – Balloon Boy, V and Mr. Spock! – Is this all a case for ET disclosure? And finally, Dan recommended the book "The 21-Day Consciousness Cleanse: A Breakthrough Program for Connecting with Your Soul's Deepest Purpose" by Debbie Ford.